Get bold drama and effortless defiinition with a deluxe sample of Kat Von D Ink liner in Trooper! 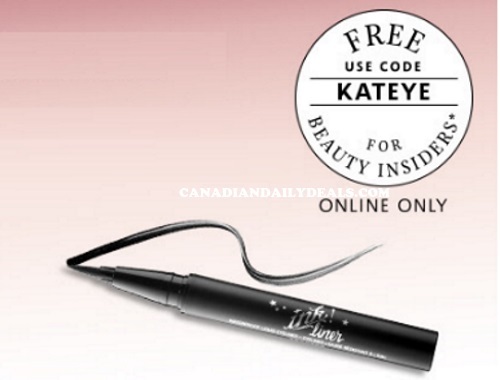 Get a deluxe sample Free with any $25 Sephora Canada online order. Enter the promo code KATEYE at checkout. Offer while quantities last.